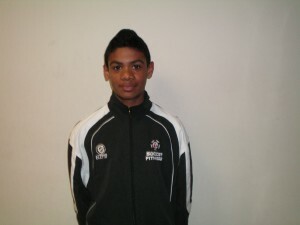 The 75th Member of the Soccer Fitness 20 MPH Club, Sanjai successfully completed 2 separate, 4-second running bouts at a top speed of exactly 20 miles per hour on Saturday, March 10, 2012. A former Ontario Provincial player and present member of the Richmond Hill 1998 boys OYSL team, Sanjai has been training with Soccer Fitness since September of 2011. He has ambitions of obtaining a university scholarship in the future, and we at Soccer Fitness are looking forward to helping him reach this goal.